The Woolrich Group Design and Construction team provide a passionate, hands-on approach to residential interior design; from conception to completion, we manage every aspect of the design process, including construction. With nearly two decades of experience, from renovations to new builds, the tight-knit nature of our company allows us to consistently present timely, creative, functional and livable solutions to our clients. Woolrich Group uniquely combines years of experience in both residential and commercial design and construction, with a high-caliber team of talented designers, site supervisors, as well as a dependable network of craftsmen, artisans and sub-trades. This close collaboration means quick decision-making, controlled spending and expense tracking, as well as guaranteed quality. This invaluable partnership allows us to ensure that if the project requires more structural solutions, the design and construction elements are always working together to provide a stunning result. Feel free to reach out to us, we would love to hear from you! 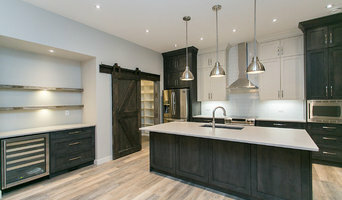 Vivid Builders: Custom Home Renovations, Est.2010, Family Owned and Operated, Quality not Quantity Serving the Calgary area, Vivid Builders is a complete custom home renovation company committed to incorporating innovative design with high-quality materials at a fair price. Expert Builds: To create a truly personalized renovation experience, to exceed every expectation. 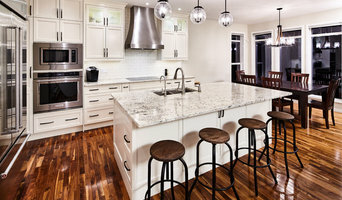 Our Specialty: Complete Home Renovations, Kitchens, Bathrooms, Secondary Suite Developments, Basement Developments and Renovations, Additions, Garages. Custom Builds and Designs: Our versatile design process works in a few ways. For large-scale projects, we often work with interior designers to assist with conceptualizing your personal style and inspiration. For other projects, clients opt for our input and ideas and hire us to help with material selection and design ideas. Others may already have a unique vision of their own, and wish to design the space themselves. No matter which direction you take, we are here to work with you. Craftsmanship: We pride ourselves on delivering every project with skill and expertise, infusing true care and attention into every detail. We only work with other tradespeople who share the same values, and who we trust, and treat as our family. 3D Rendering Technology: Our 3D plans bring your ideas and ours to digital life, displaying a range of layout options, surface finishings and colour schemes, offering a number of alternatives for you to compare and consider. General, or construction contractors, are often known as project managers. They oversee the entire remodeling or new home construction project and facilitate all day-to-day tasks that move it toward completion. A Kananaskis general building contractor will work with your architect to review plan as you build a house and ensure everything is in place before work is started as well as arrange for permits and necessary inspections. While good local home improvement contractors in Kananaskis will have the skills to handle certain tasks onsite, such as carpentry, he or she is also responsible for hiring subcontractors for the majority of jobs, such as electrical work, painting or plumbing. In addition, the general contractor should be on-site regularly to inspect the progress and resolve issues. Here are some related professionals and vendors to complement the work of general contractors: Architects & Building Designers, Interior Designers & Decorators, Landscape Architects & Landscape Designers, Kitchen & Bath Designers, Specialty Contractors. Home remodeling contractors are a must for successful completion of a renovation. Because of this, it's essential that you do your homework before deciding on the right general contractor in Kananaskis as you remodel or build a house. Inspect bids carefully. Was it ready when the contractor promised it? Was the bid for building a home unusually high or low? Each of these things can be very telling: A late bid may reflect timing standards, and an off-the-mark bid could be code for a pricey premium or a deliberate underbid to score the remodeling job. You should call references, carefully read reviews and visit completed projects in Kananaskis, AB to see if they’re what you expect for your job. Once you do secure your local Kananaskis contractors, read the contract very carefully to be sure everyone is on the same page. 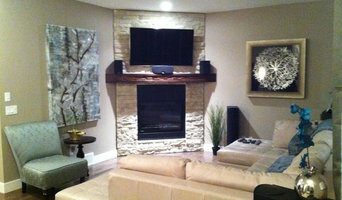 Find a Kananaskis contractor on Houzz. 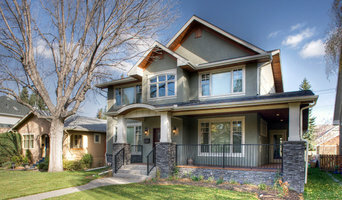 Narrow your search in the Professionals section of the website to Kananaskis, AB home contractors. You can also search for photos in Kananaskis, AB and contact the Kananaskis general contractor who worked on the project.